Do you hear the buzz word among country music fans these days? They're all pumped-up screaming 'forever Young!' 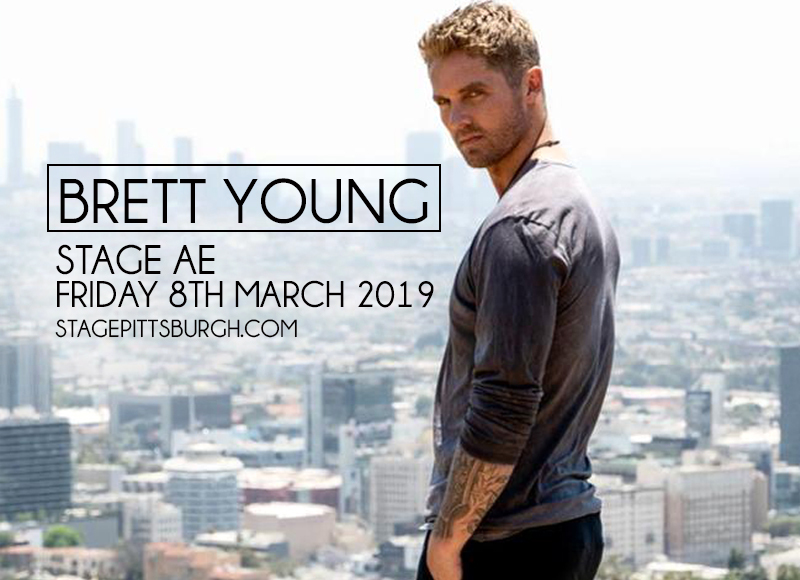 that because country music hottie Brett Young is now hitting the live concert circuit, with a live concert due on Friday 8th March 2019 at the Stage AE. As concert date is getting closer, the demand for tickets has escalated at greater speeds. You should not stress yourself out by trying to get tickets at the last minute. And don't take your sweet time either. The perfect moment to book tickets is right here, right now. Don't miss this incredible show! Bowing out of a baseball scholarship and giving up the dream to play Major League Baseball because of an elbow injury might've crushed Brett Young. However, it led him to another once-familiar path that rekindled an old flame, so to speak. He rediscovered his passion for music. Back in high school, he once was a worship music ministry leader, up until he heeded the call of an opportunity to pursue baseball. The injury, which, in hindsight, was a blessing-in-disguise of sorts that came into Brett's career that gained for him a new-found pursuit — songwriting. In 2015 the release of his self-titled album debuted at No. 2 on the U.S. Billboard Top Country Albums chart and earned RIAA Gold Certification. One of his biggest songs to date is "In Case You Didn't Know," peaking at number one on U.S. Billboard Country Airplay, Mediabase Country, and Canada County charts. Its official music video holds up as one of Vevo's most-watched videos of 2017, with113 million views and counting. Thus, it's no surprise fans are hailing and wailing 'forever Young' to the timeless and heartwarming appeal of Brett Young's music. Catch him live at the Stage AE, save the date – March 8th !